Look Twice. Save a Life, and Save Yourself a Trip to a Columbus Criminal Defense Attorney | Yavitch & Palmer Co., L.P.A. Sun. Warmer weather. Telltale sign that you have become one of two people: the one pedaling down the street or the one stuck driving behind them. Yes, as Columbus temperatures rise, so will the number of two-wheeled transportation sharing streets with cars, trucks and buses. But while cycling is advantageous to our health, finances and environment, the threat associated with operating any vehicle still applies. With the number of bike trips in America soaring, it is critical individuals are educated about our collective vehicular responsibilities, whether you are the biker or the motorist. 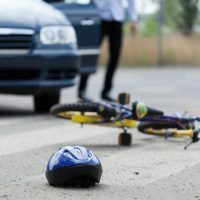 Here are a few ways you can do your part to prevent a bicycle tragedy, and how a Columbus criminal defense attorney can protect you if an incident does arise. From a young age, we’re regularly reminded about the importance of bike safety: helmets, reflective strips, bright clothing, designated hand signals and mirrors. But in many instances of injury and fatality to cyclists, motorists are at fault. Whether it be driver negligence or a misunderstanding of bike laws, many accidents can be avoided by applying the golden rule, treat others how you’d like to be treated. Think about it this way: By law, bicycles are equivalent to traditional motorized vehicles. Bicyclists have identical rights and responsibilities as motorists, and it is illegal for them to ride on the sidewalks in the city of Columbus. Realistically, would you tailgate a Honda Civic simply because it’s in the lane in front of you? No, hopefully you’re a better driver than that. Wouldn’t you be angry when a Ford F-150 trailed you just because your compact Toyota Corolla makes you an easy target? Yes, and you’d probably yell at them (from within the safety of your car). What makes a bicycle any different? Keep a safe distance of about three feet between motor vehicle and bicycle. When making a right turn after passing a biker, leave appropriate room so as to not cut off the cyclist when slowing for the turn. Approaching intersections and turns, double check both directions for not only other motor vehicles, but also cyclists. Pass a bike rider only when it can be done safely. Not all individuals are wary of bike riders. According to the National Highway Traffic Safety Administration, wearing a bicycle safety helmet can reduce the risk of head trauma by 85 percent and the chance of brain injury by 88 percent. But let’s be rational—while a helmet will protect your head if hit by a motor vehicle, a helmet isn’t going to stop you from being hit in the first place. You can best protect yourself as a cyclist by taking steps to minimize potential for harm. Limit riding during night or dawn hours when drivers might not see you. If necessary, Ohio law dictates that bikes ridden after dark must be equipped with a white headlight, red taillight and red rear reflector. Ride with the flow of traffic. If traveling at slower speeds than surrounding motor vehicles, keep to the rightmost side of the street. However, if you and your bicycle are capable of maintaining similar speeds as the rest of traffic, it is permissible to travel in the middle of the lane. Once again, cyclists must adhere to every law a motor vehicle does, including: obeying all traffic signs, signals and pavement markings; using turn signals; passing only if possible; stopping at a curb to allow emergency vehicles the right of way; and observing speed limits and school zones. Rethink using cell phones or listening to music. The fewer distractions the better. Listening to the sounds of surrounding traffic and having your hands free for quick maneuverability and braking can be the difference between life and death. Bottom line, if you choose to operate a vehicle, no matter your mode of transportation, you are obligated to follow the rules of the road. Mistakes happen even when we’re aware of the law. If you’ve struck a cyclist with your motor vehicle, you need experienced, qualified representation from a Columbus criminal defense lawyer. Yavitch & Palmer will listen to your side of the story, look over all of the facts and work to get you the best result possible.